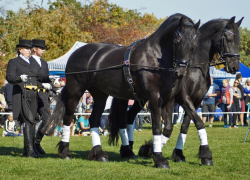 Horses are essential at a lot of historic parades. 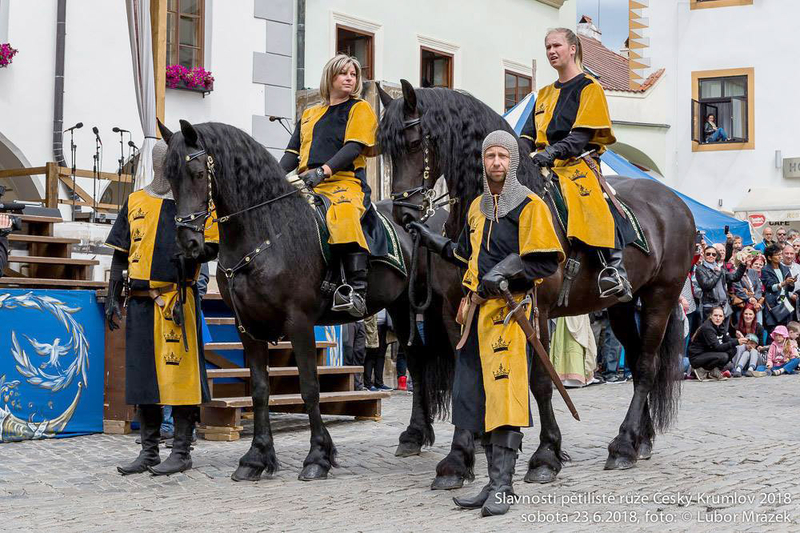 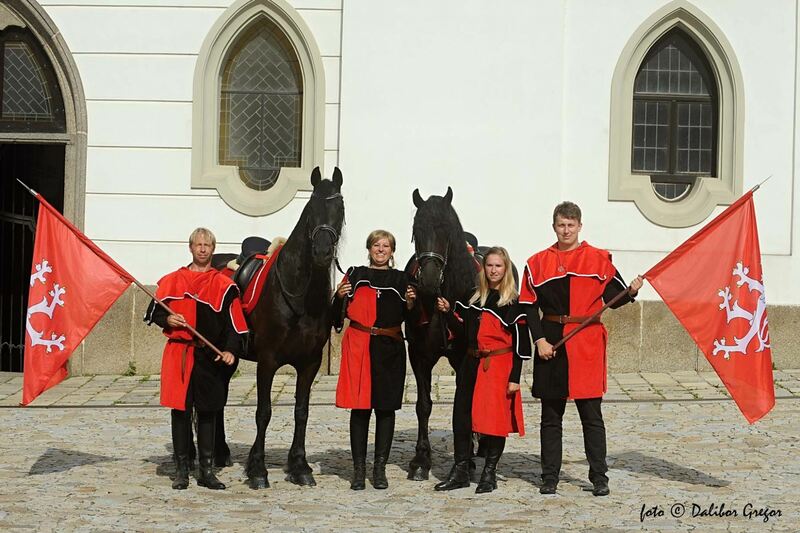 We have the use of gothic clothing for both riders and conductors. 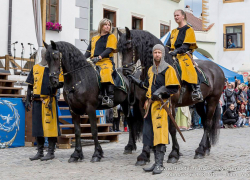 We are gradually getting equipped with riders armour. 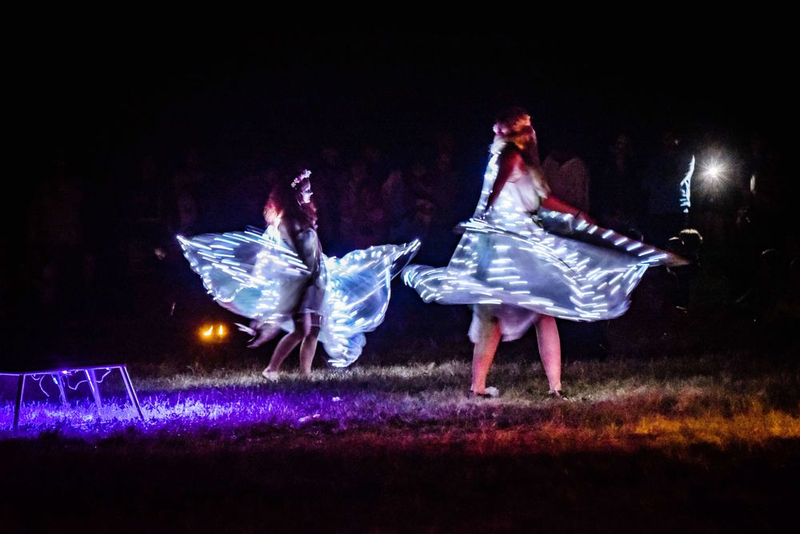 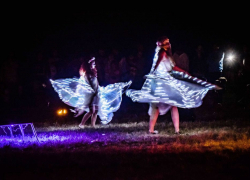 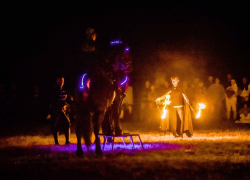 For night parades we can provide fire spitters or other walking members. 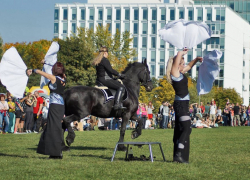 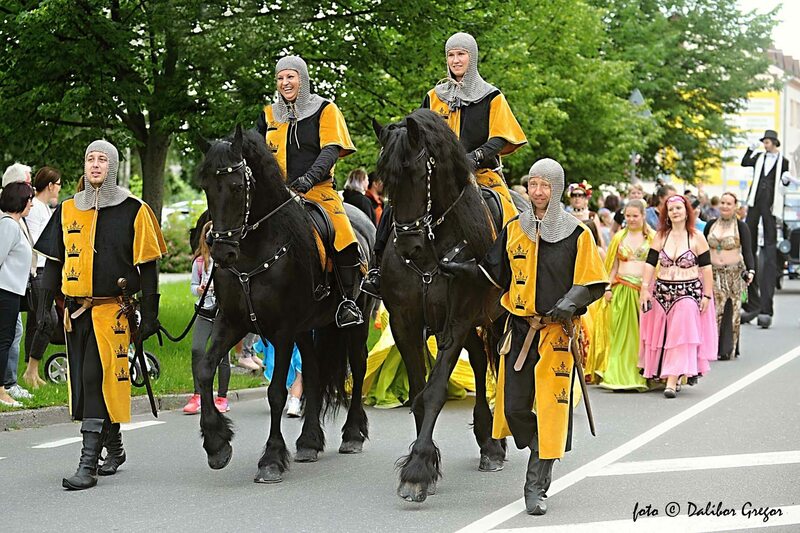 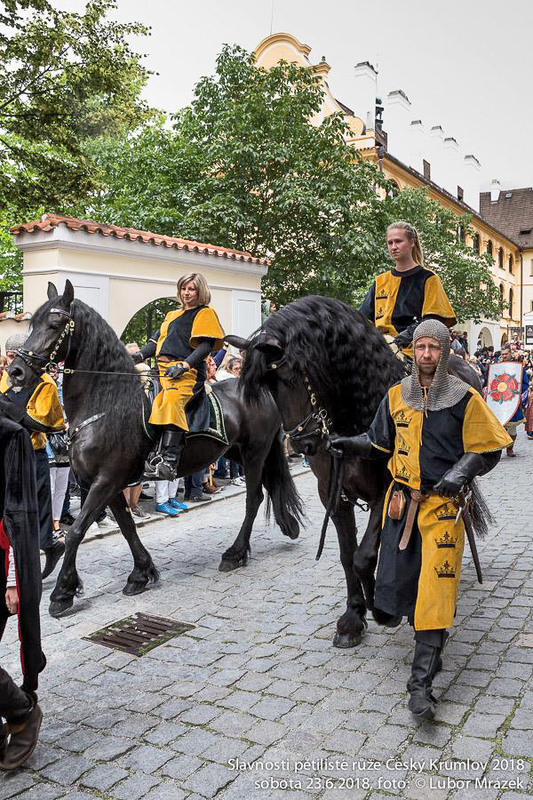 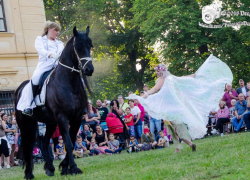 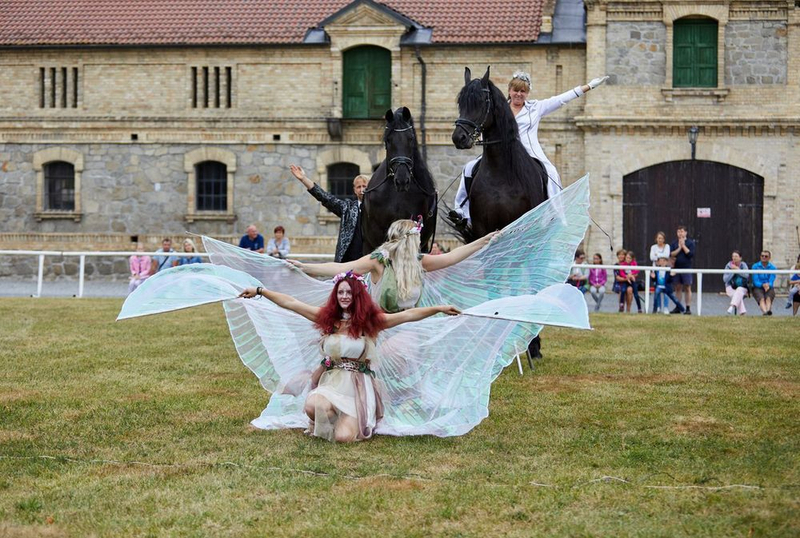 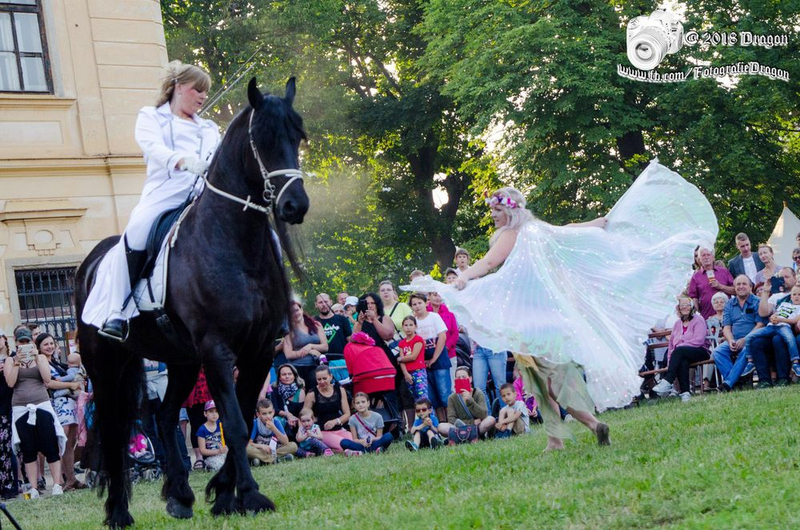 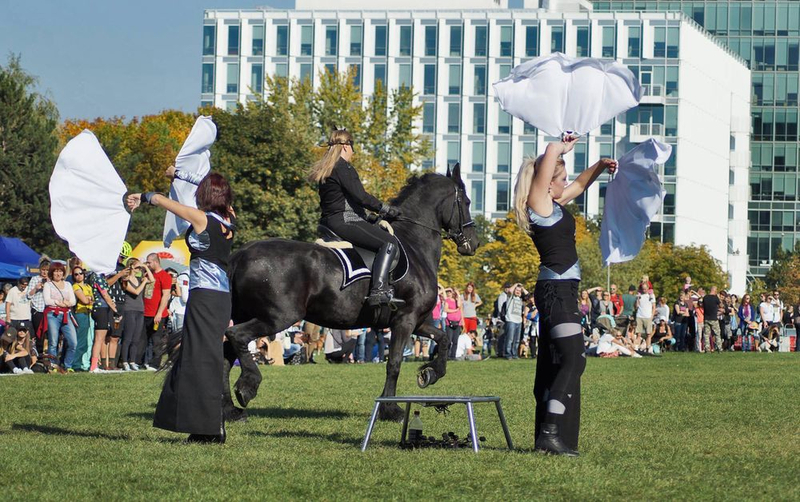 Typical riding shows in various costumes. 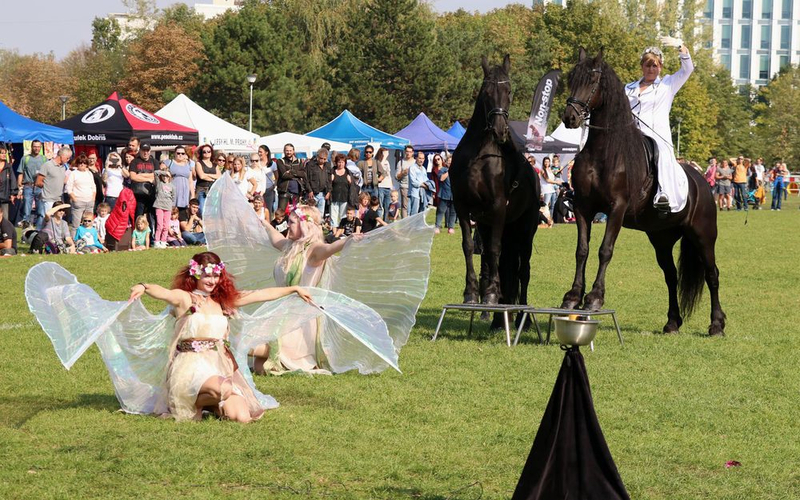 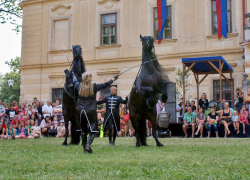 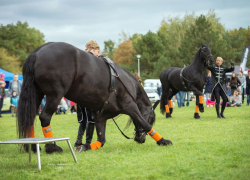 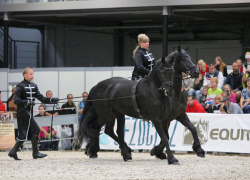 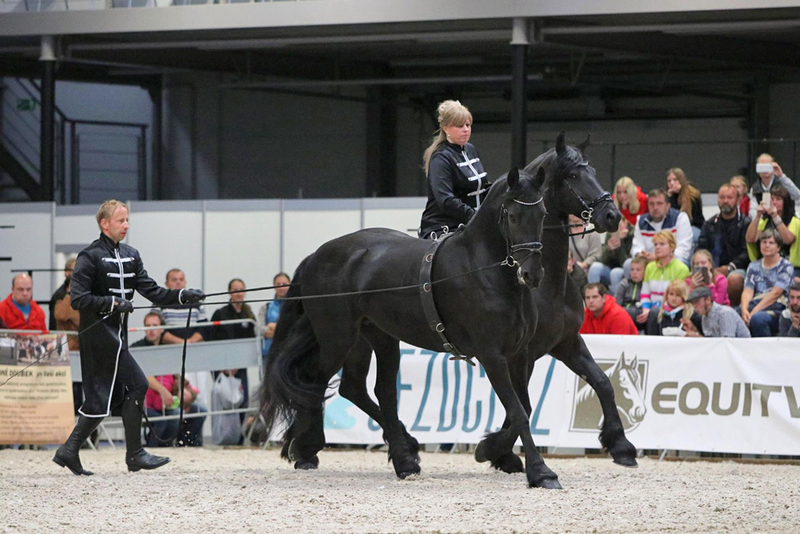 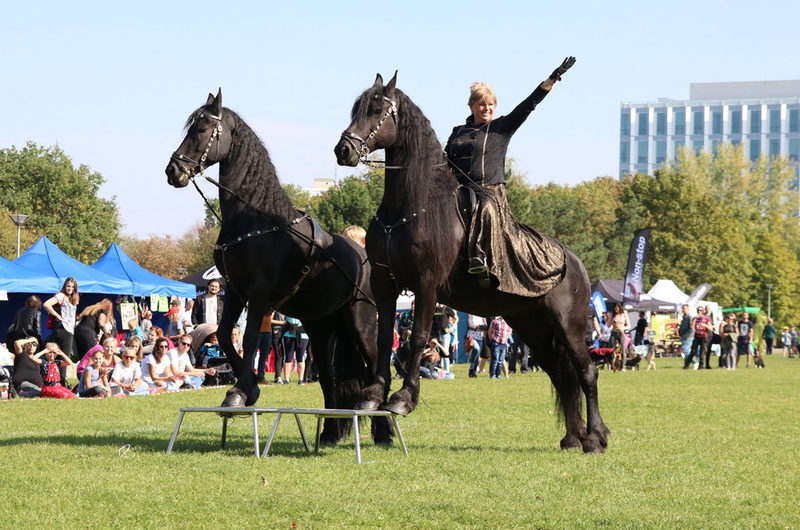 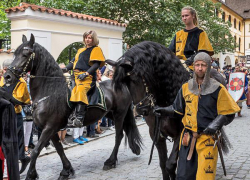 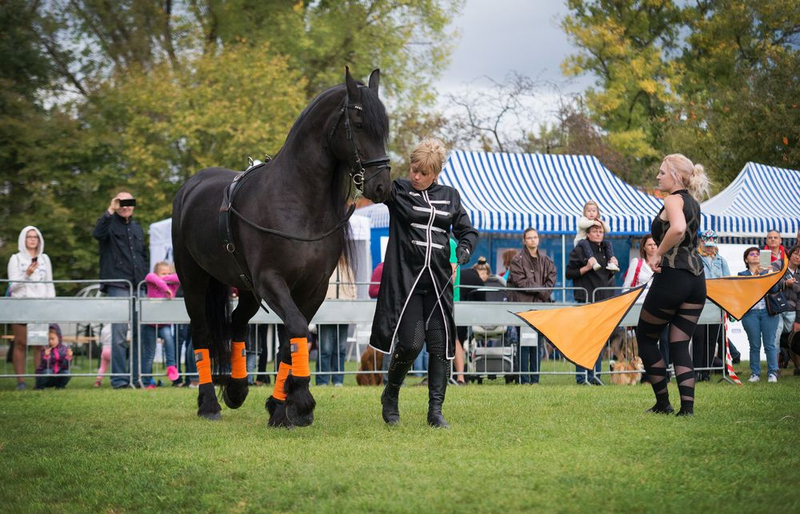 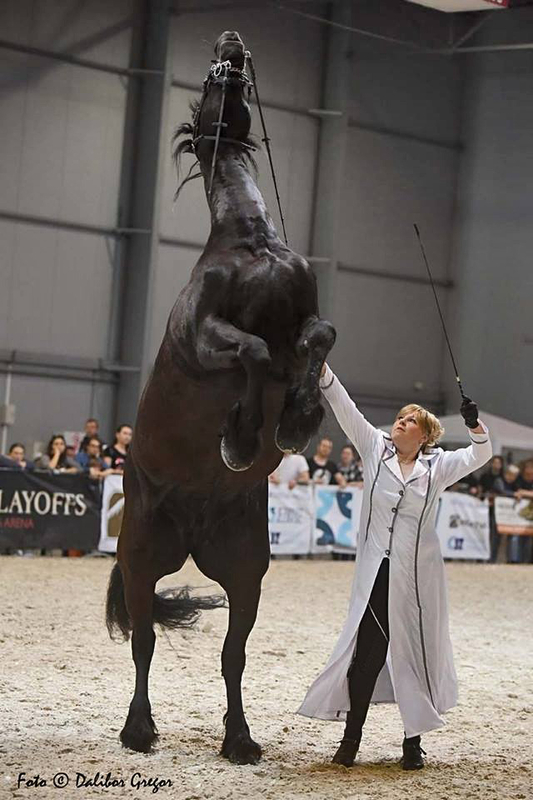 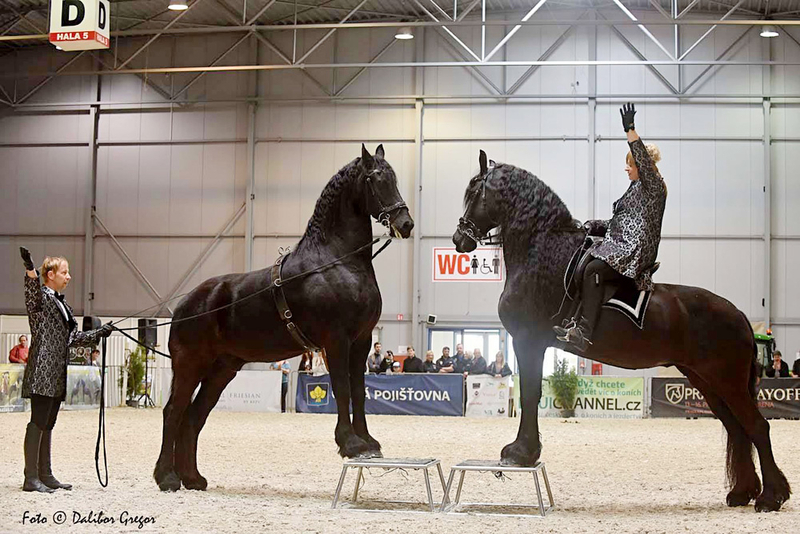 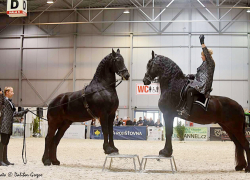 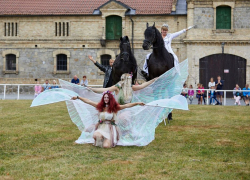 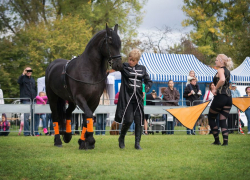 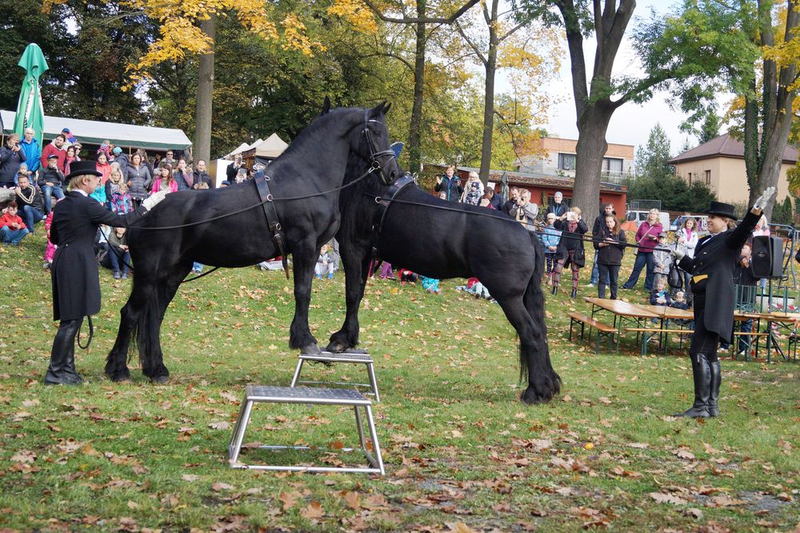 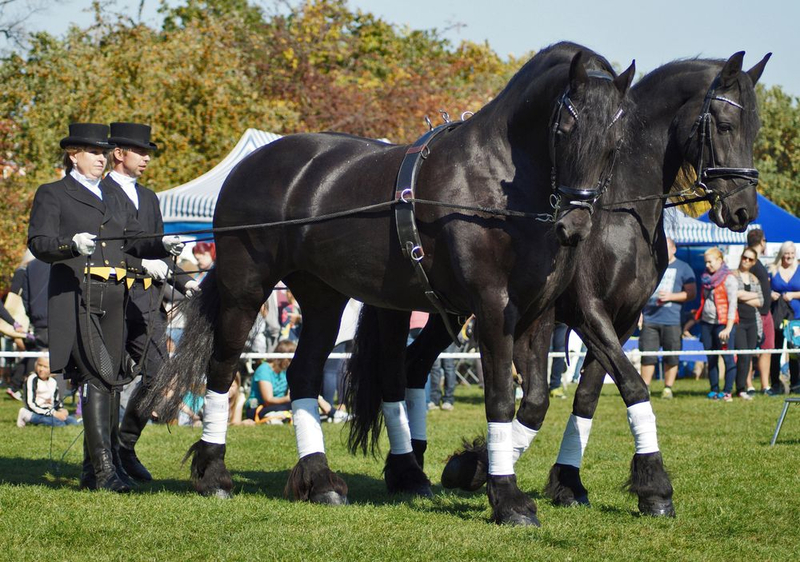 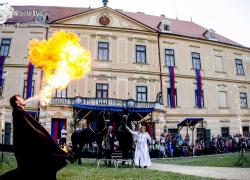 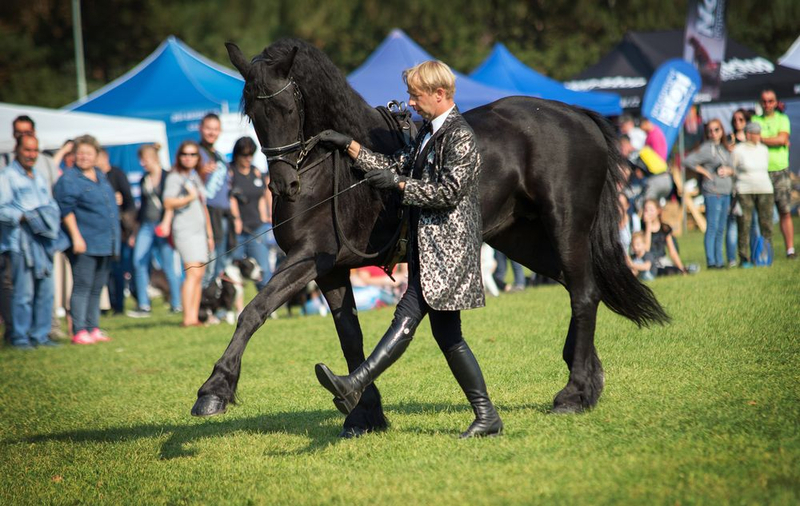 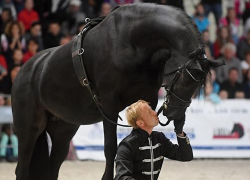 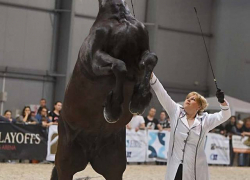 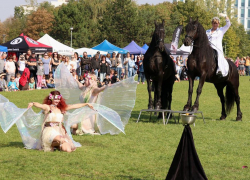 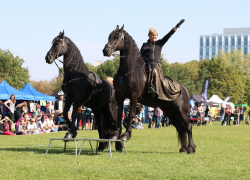 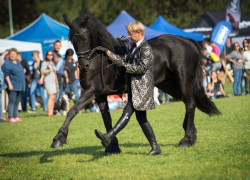 Shows with music with one or two horses. 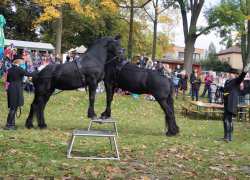 Saddle/longe, longe/longe, natural communication from the ground. 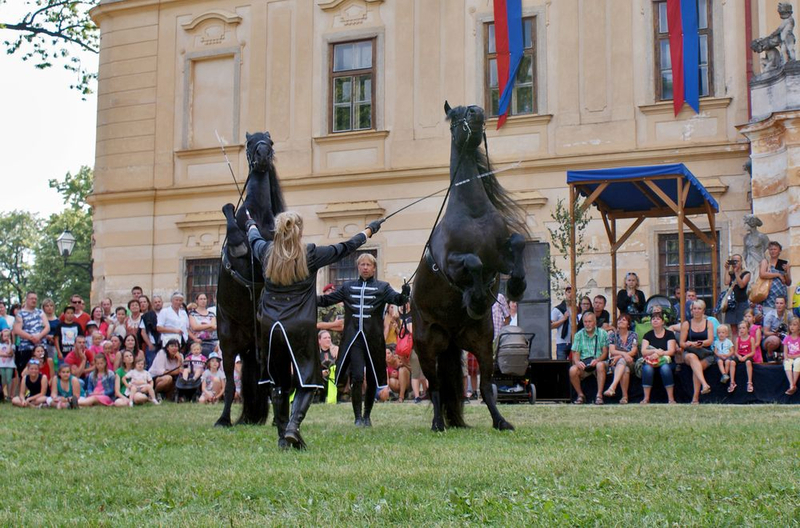 The performance can be extended with jugglers. 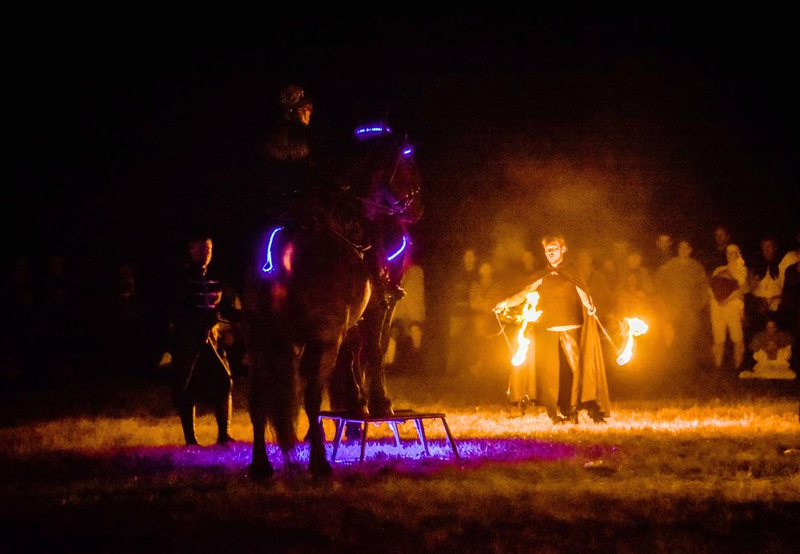 Thematic show full of light, fire and pyrotechnics. 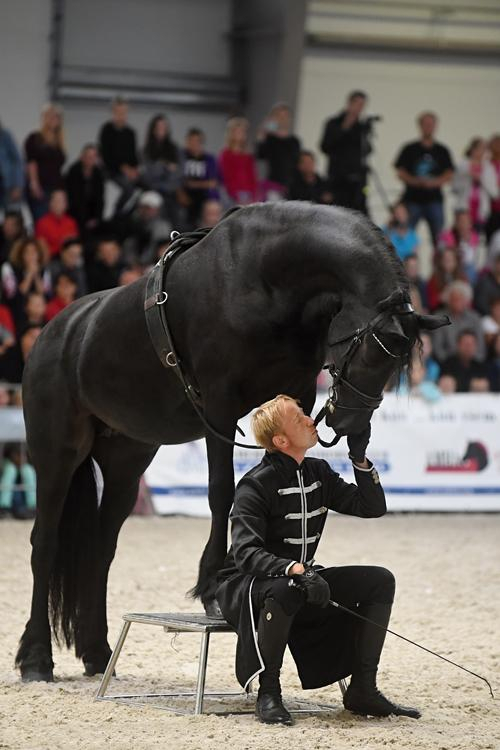 Suitable especially for night shows. 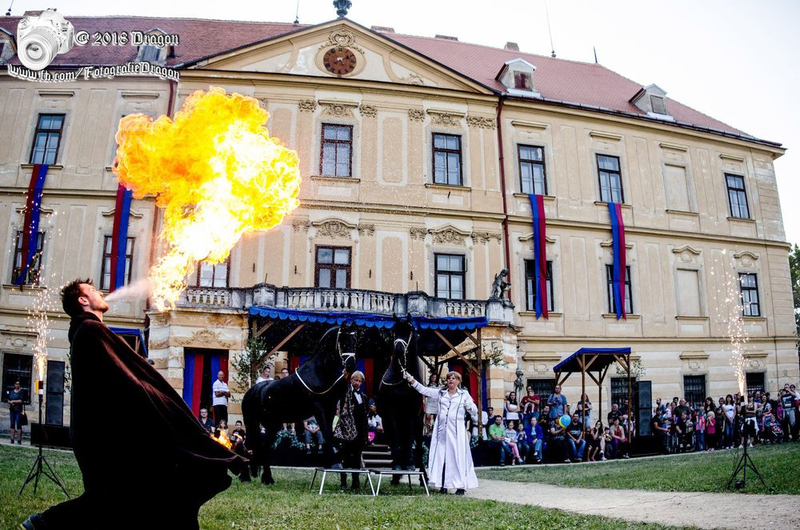 It is also possible to make it as a day show but then the effect of fire and pyrotechnics would be much lower.